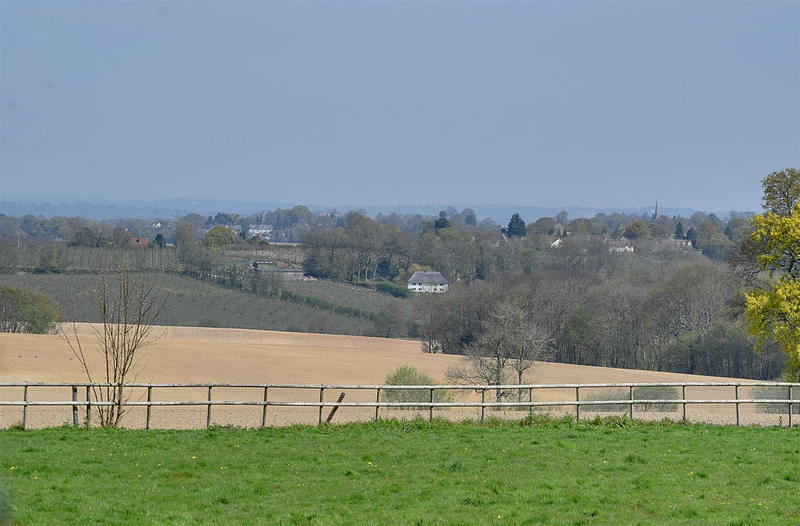 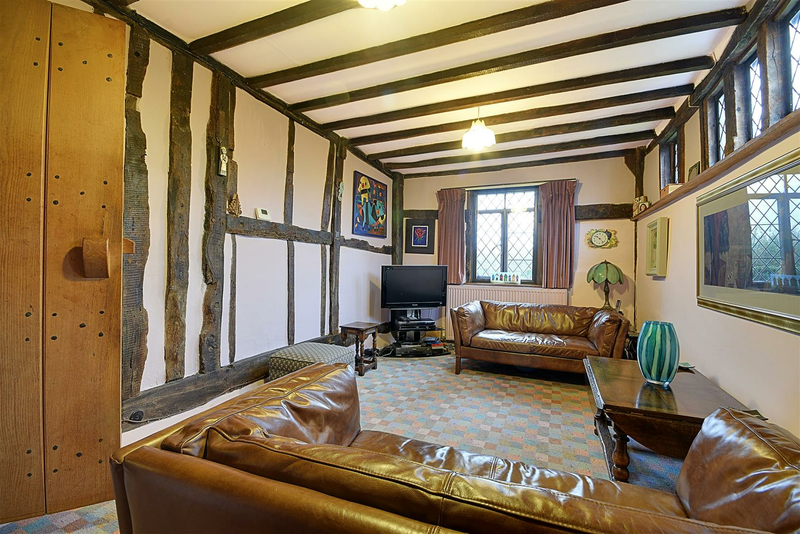 A GARDENER’S PARADISE – A beautifully presented three bedroom Grade II listed cottage with Medieval origins thought to have been occupied by the monks from nearby well renowned Battle Abbey forming part of a previous Private Estate. 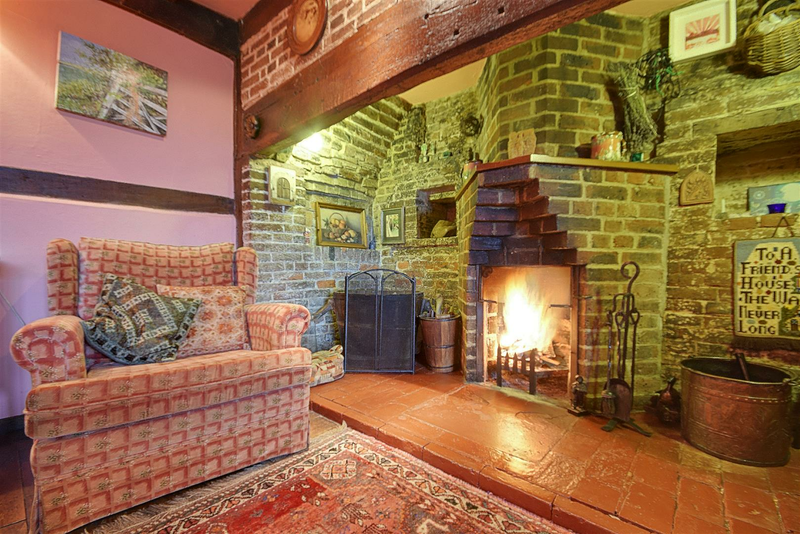 Occupying a semi-rural position between the Villages of Northiam and Staplecross Marchant’s House hosts a wealth of original period features throughout including leaded windows and doors, an abundance of exposed joinery, solid oak doors, inglenook open fireplace and hardwood parquet flooring. 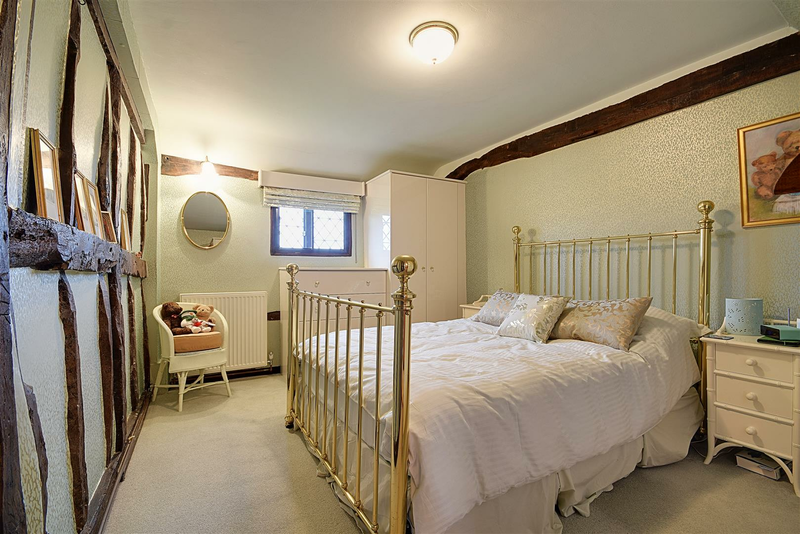 The property is greeted by a spacious entrance dining hall, kitchen with oil fired Rayburn oven, two reception rooms and ground floor bathroom suite. 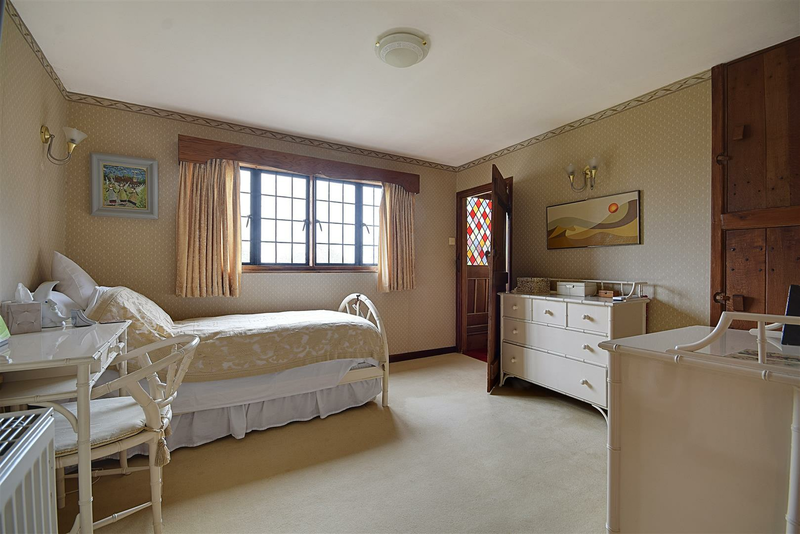 A turned carpeted staircase serves two first floor bedrooms enjoying rural aspects to front and rear and an additional attic bedroom on the second floor. 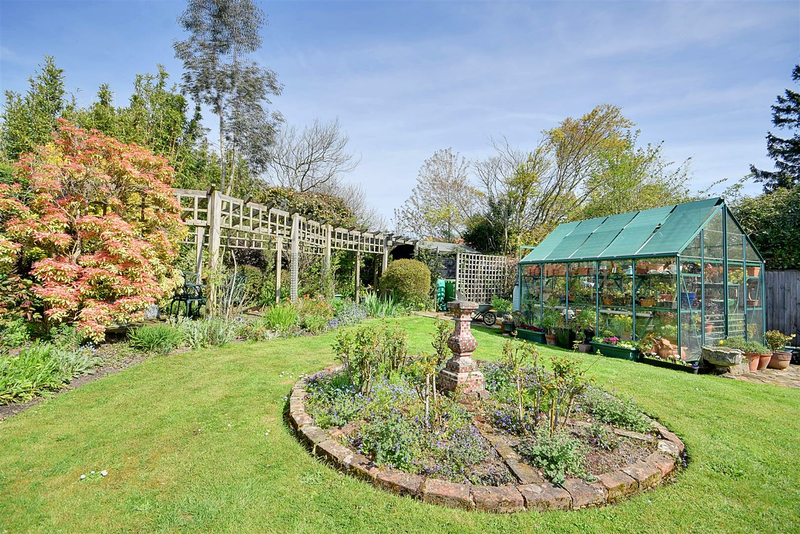 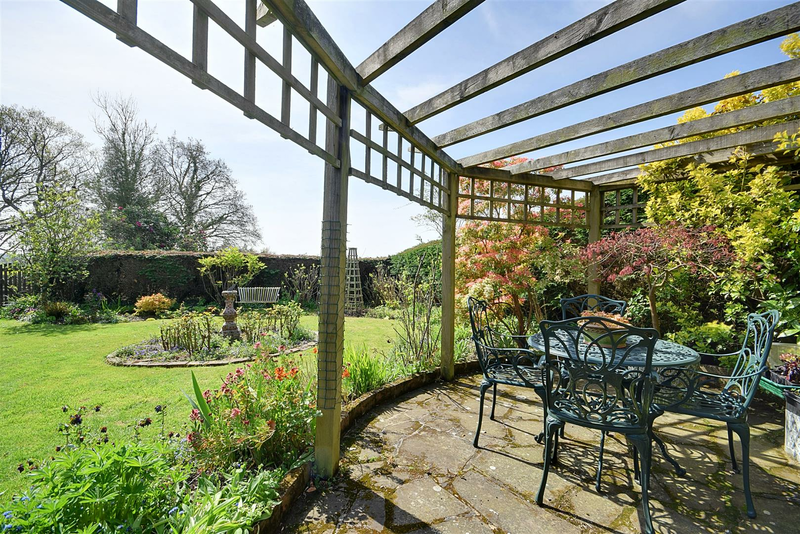 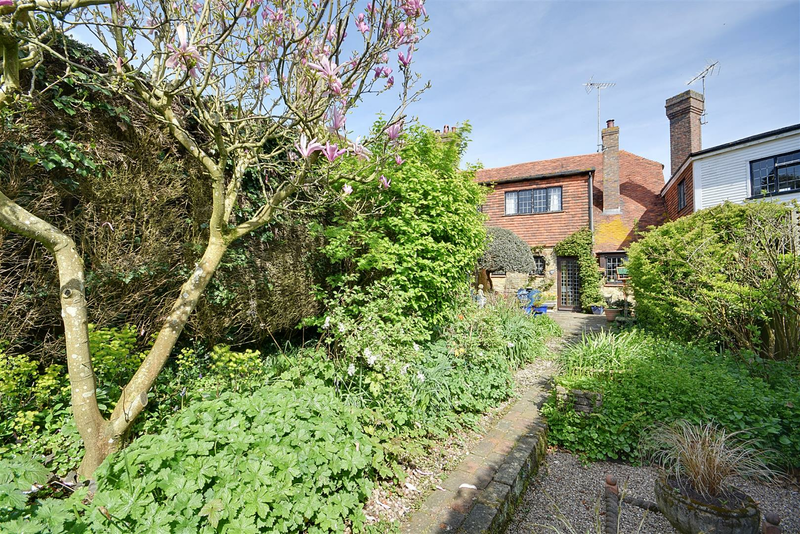 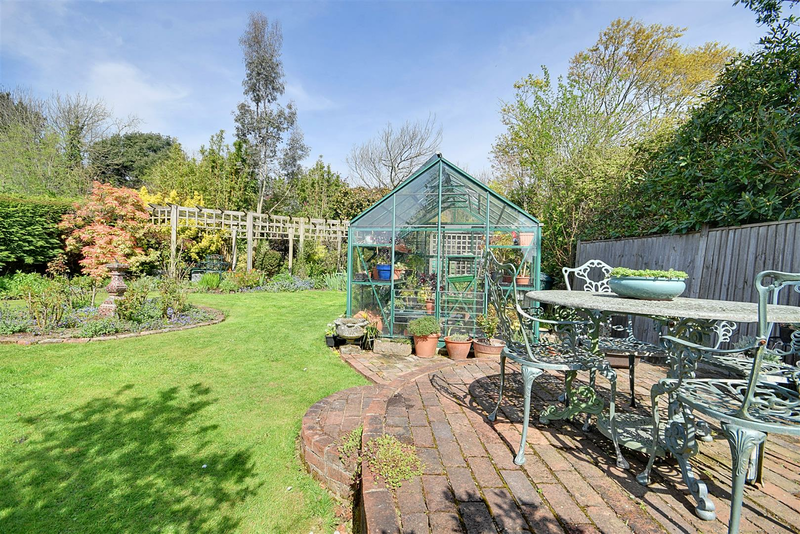 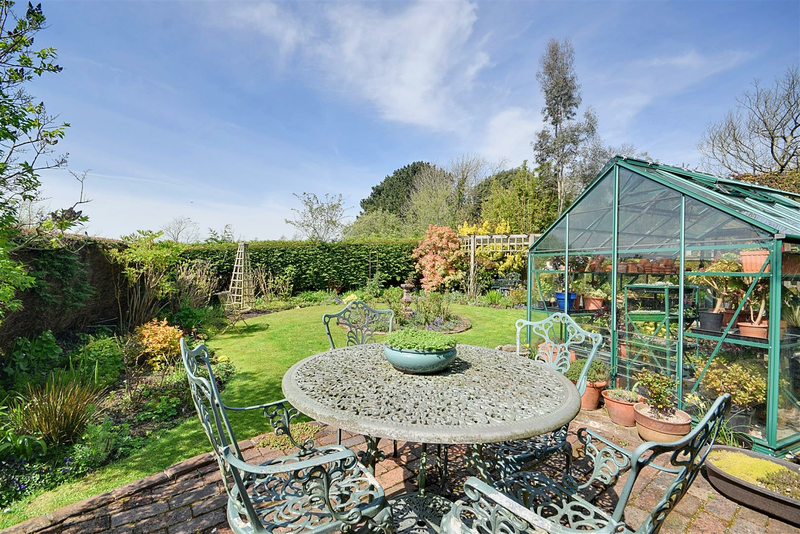 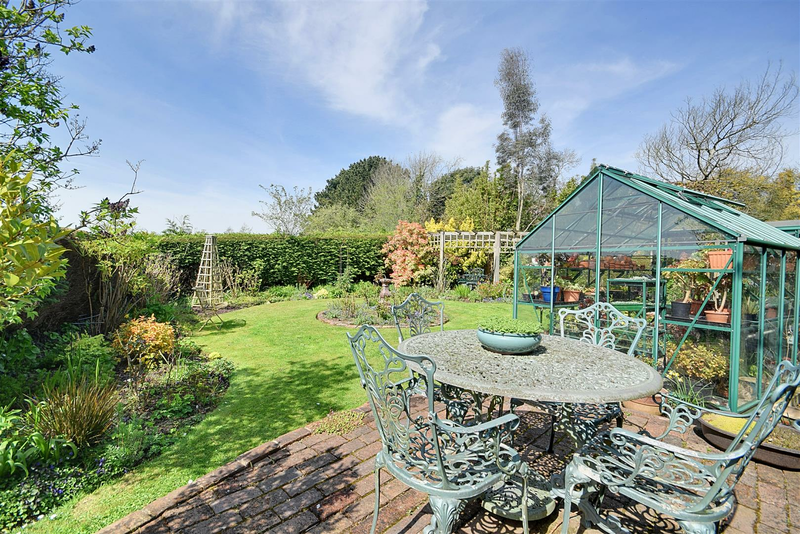 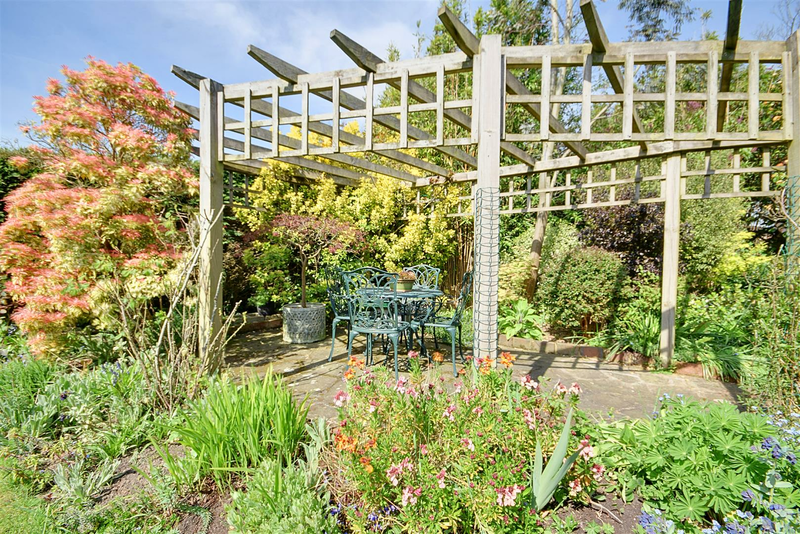 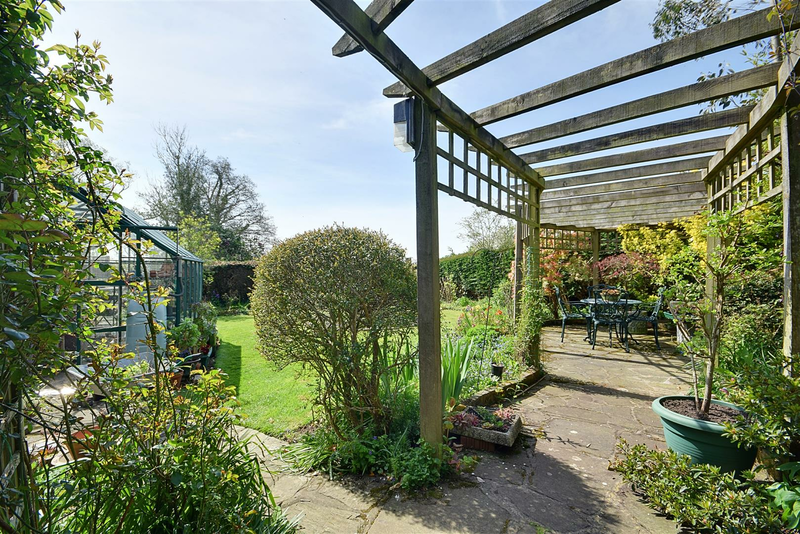 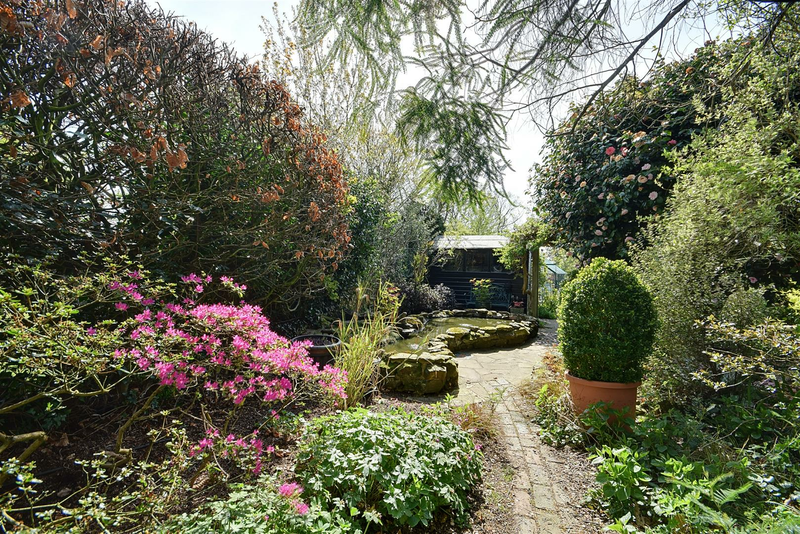 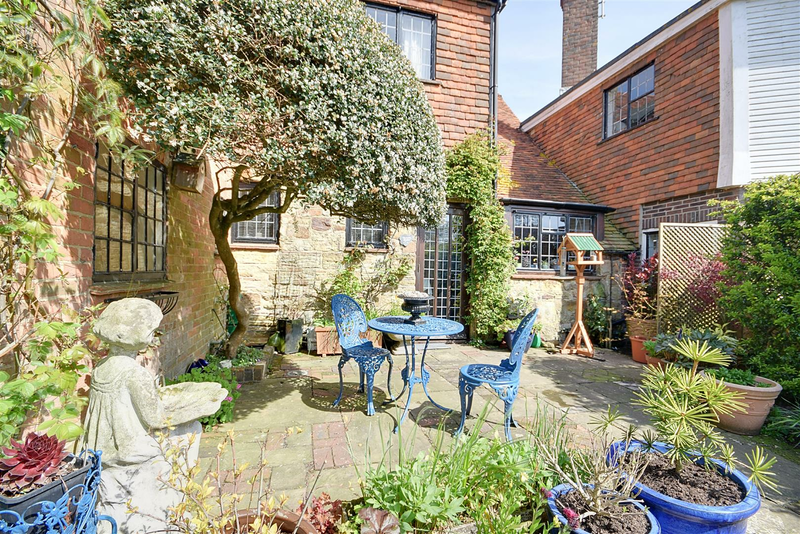 Outside enjoys a deceptively spacious south facing landscaped cottage garden led from a private paved seating terrace, a brick edged winding path with well stocked borders opens to a lawned area complete with potting shed, greenhouse and various seating areas. 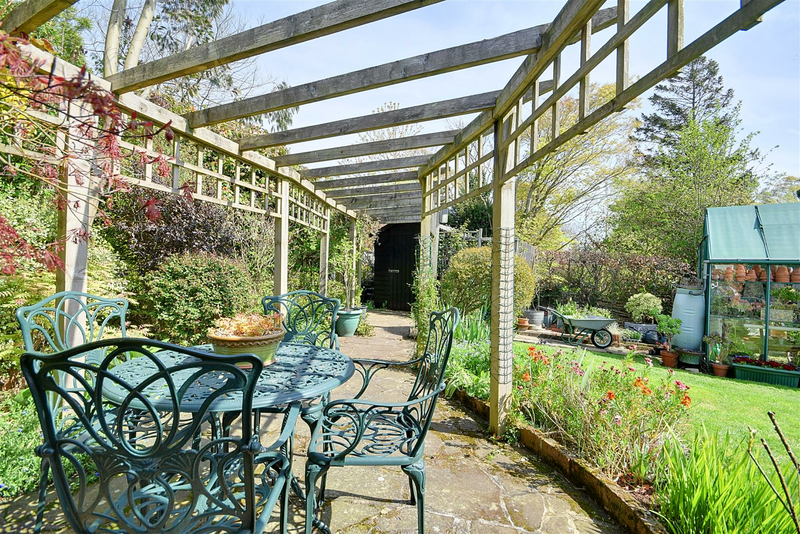 To the front offers off road parking and useful double garage. 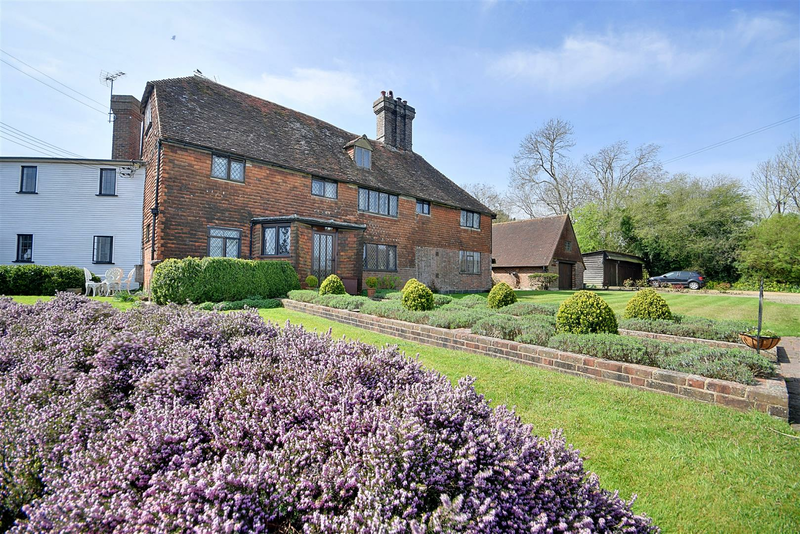 Property approached via brick paved parking bay and path leading to entrance porch lined with raised lavender and buxus brick edged beds, front garden laid to lawn with off road parking area and double garage to side, hardwood leaded light front door, exterior light. 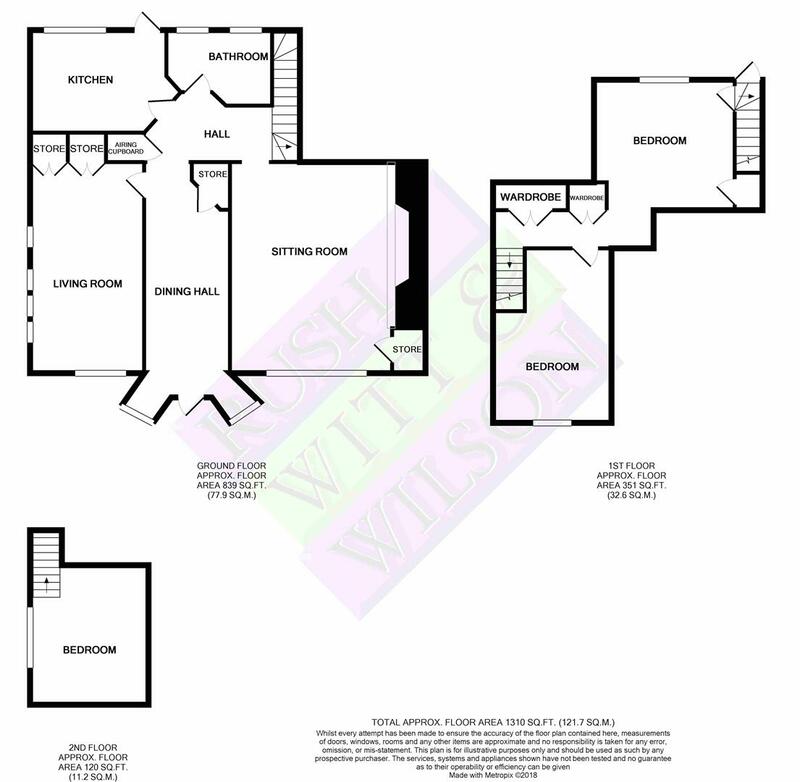 Accessed via hardwood leaded front door with matching side windows, hardwood herringbone parquet, radiators, wall lighting, exposed beams and joinery, storage cupboard with shelving and light via studded ledged and braced door, internal door to reception two. 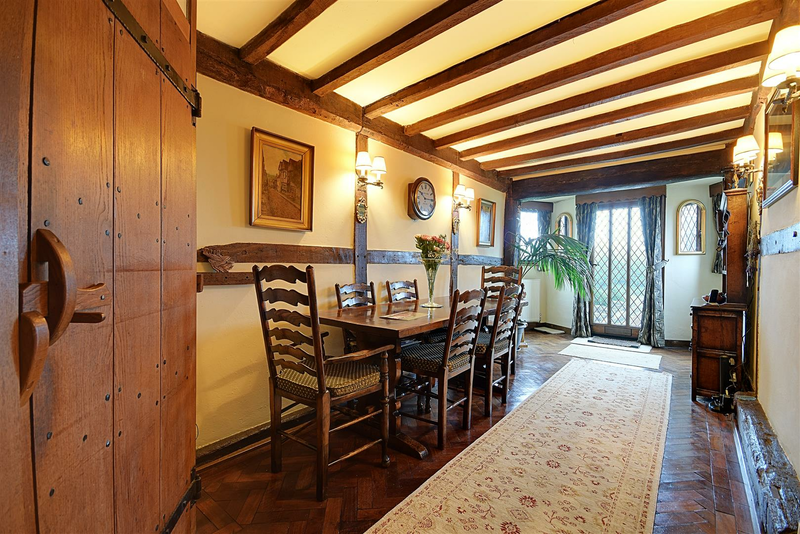 Internal ledged and braced door from dining hall, exposed beams and joinery, leaded window to front elevations with secondary glazing and radiator below, leaded windows to side, fitted cupboards with oak doors complete with hanging rails and shelving above, selection of power points and TV connections. 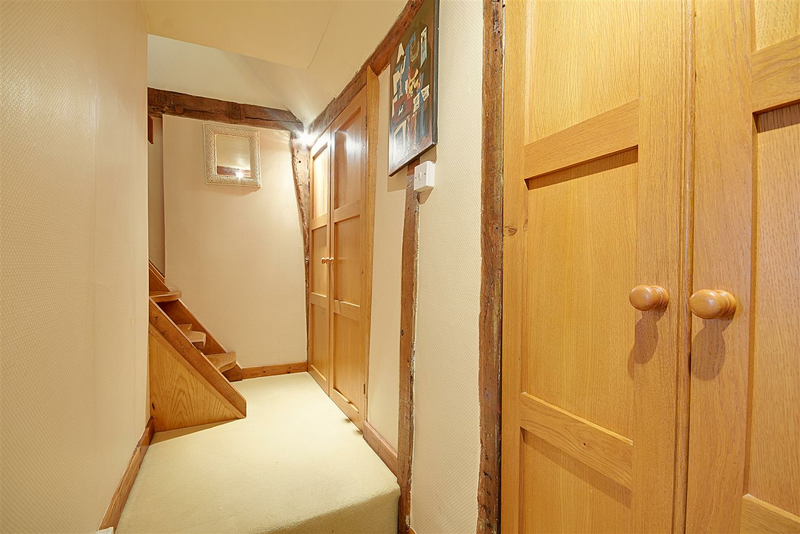 Carpeted inner hall,airing cupboard via oak door, single radiator, carpeted turned staircase to first floor. 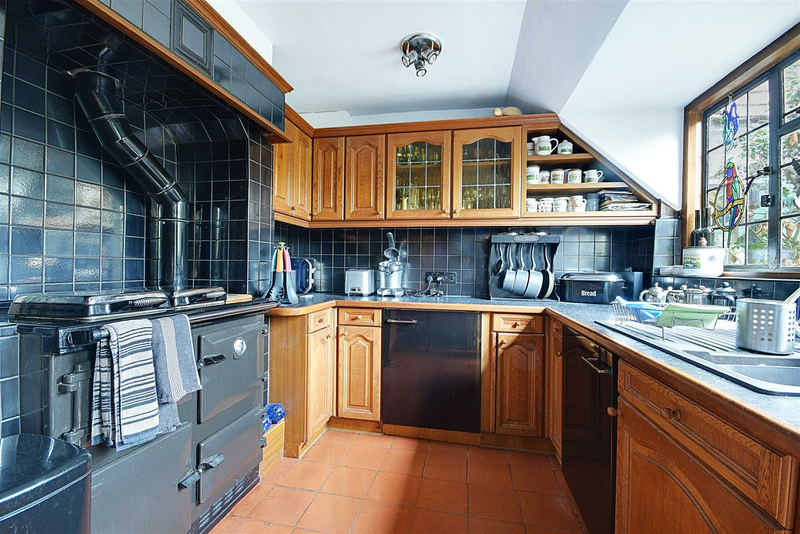 Accessed from inner hall via ledged and braced door, leaded transom window over, quarry tile flooring, window and hardwood full height leaded door to rear gardens, kitchen comprises a selection of fitted base and wall units with oak shaker doors, laminated work surfaces with inset composite bowl and drainer, oil fired Rayburn oven with ceramic tile splash backs, a selection of above counter power points, integrated fridge and washing machine. 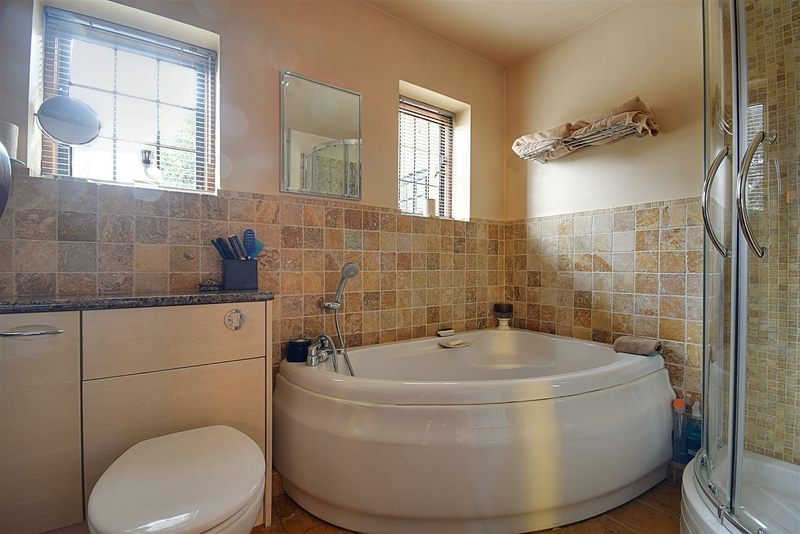 Accessed via ledged door with leaded transom window over, windows to rear elevations, ceramic tile flooring, corner bath suite with mixer taps and rinser, travertine wall tiling, corner shower enclosure with screen doors, mosaic travertine wall tile and concealed shower mixer, heated towel rail, combination vanity unit with integrated WC, shaver point. 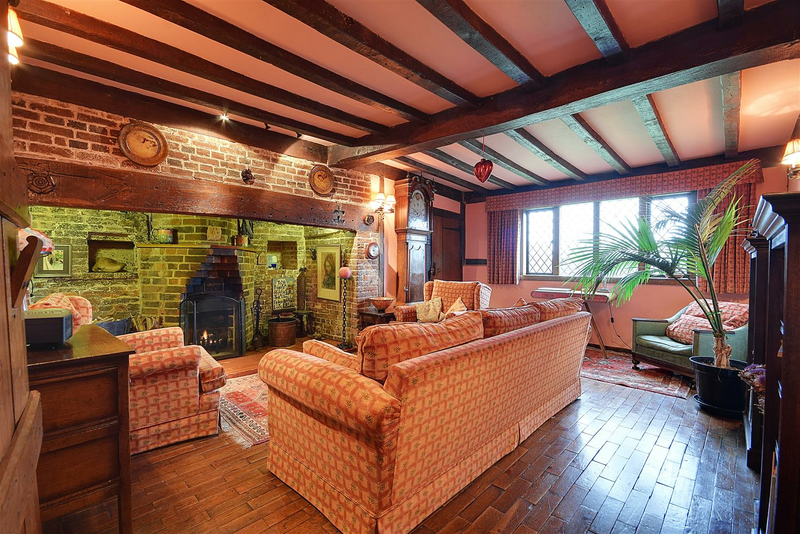 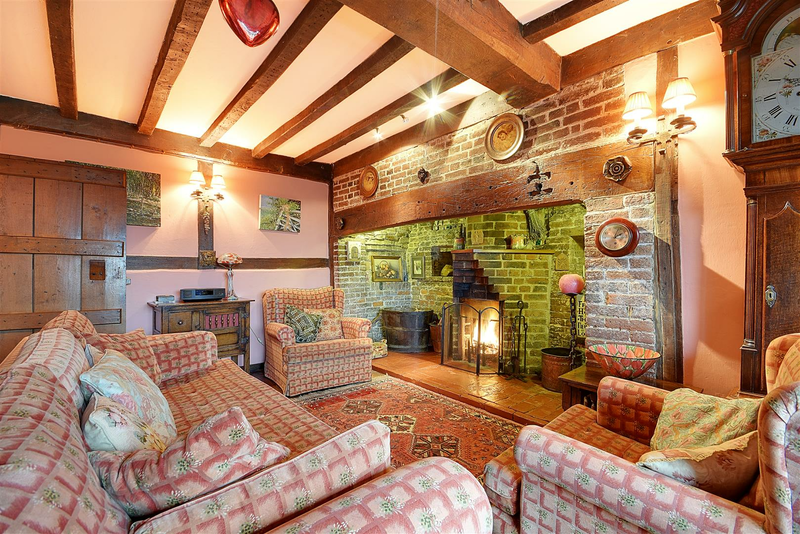 Ledged and braced door to living room, hardwood parquet flooring, exposed beams and joinery, leaded windows to front elevations, large exposed brick open inglenook fireplace with oak bressumer, feature lighting, double radiator, wall lighting. 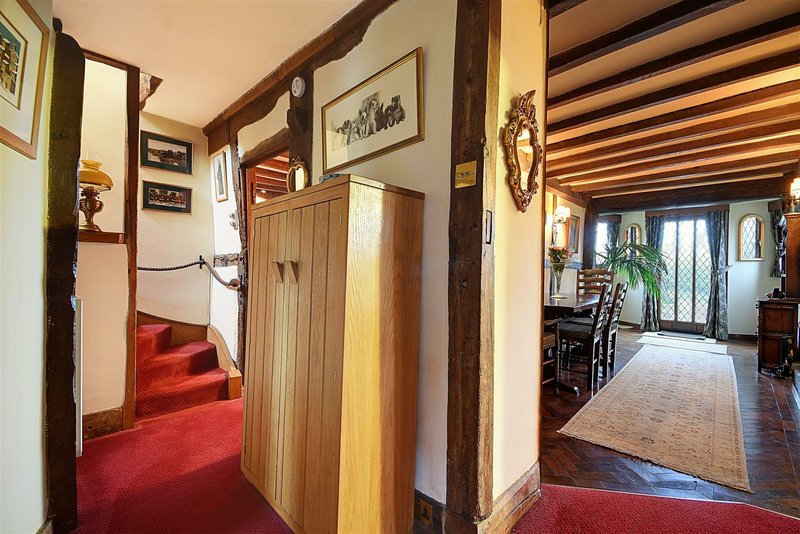 Carpeted turned staircase with rope Bannister leading to first floor, exposed joinery, wall lights, sealed leaded stained glass door to rear elevations. 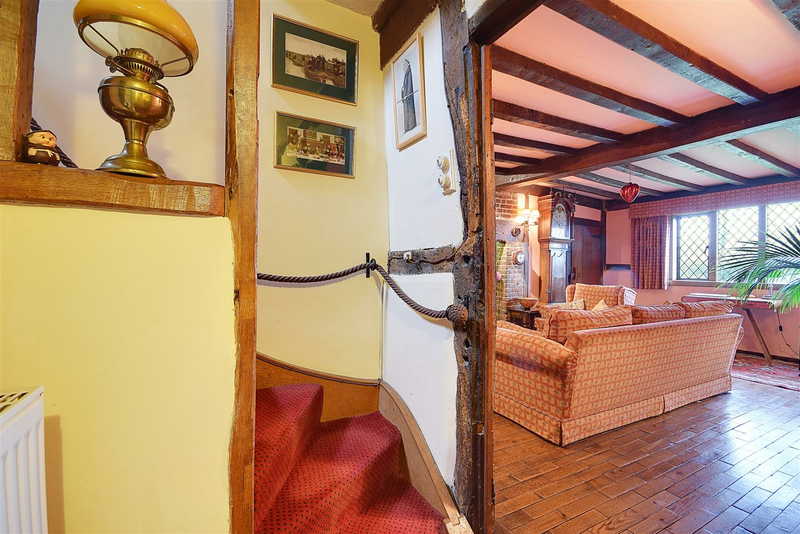 Internal ledged and braced door, carpeted flooring, leaded window to rear elevations, wall lights, exposed beams and joinery, cupboards accessed via turned latch doors, access to internal landing. 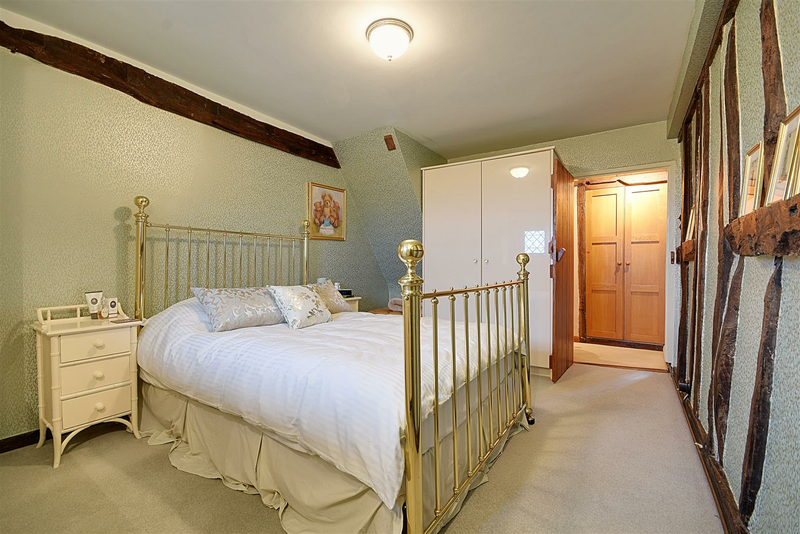 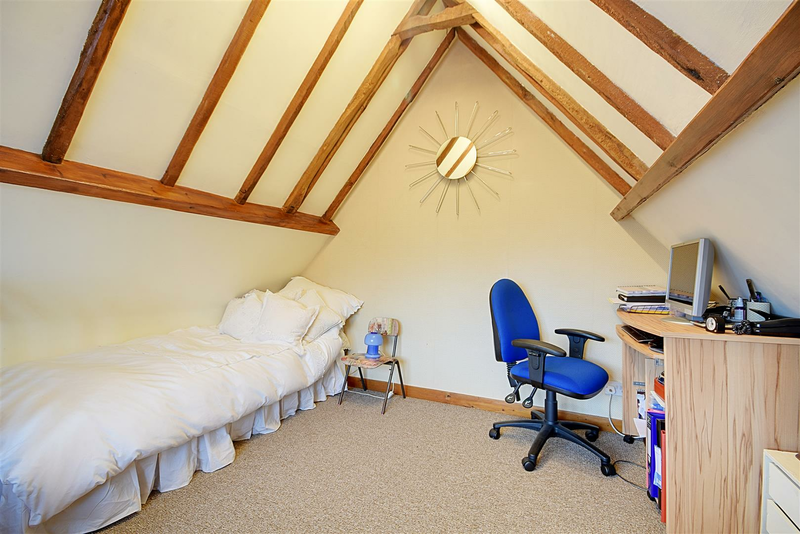 Carpeted landing, exposed joinery, internal door to bedroom two, ceiling light, two fitted cupboards with oak doors complete with hanging rails and shelving above, paddle staircase to attic bedroom. 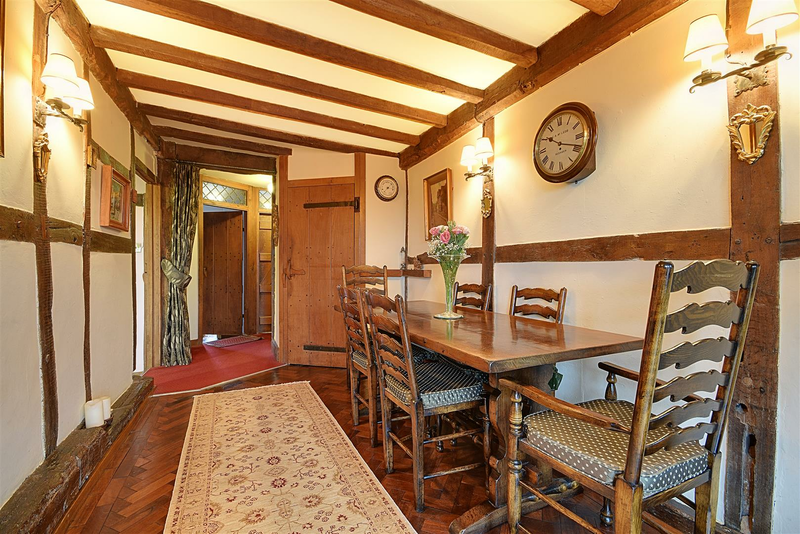 Paddle step staircase from landing, oak Bannister and balustrade, carpeted flooring, vaulted ceiling with exposed joinery, leaded window to side, ceiling light. 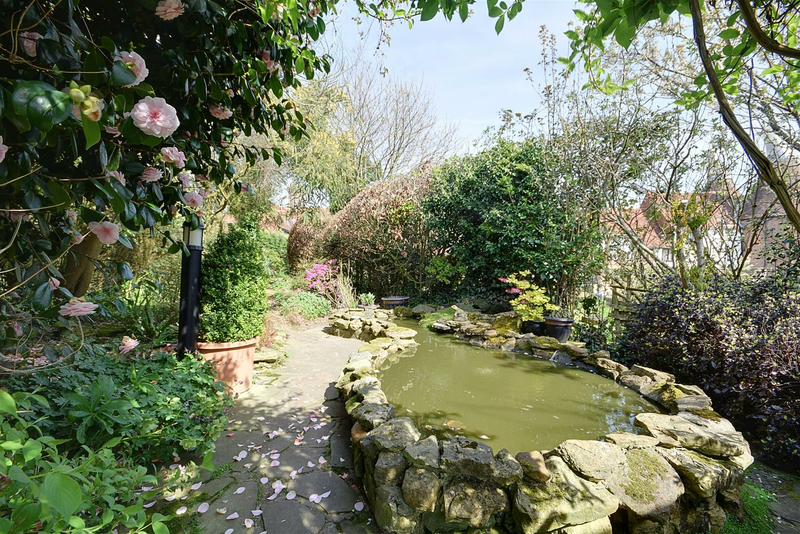 Extensive south facing rear garden led from a privately enclosed paved terrace seating area, external lighting, power point and tap, well stocked brick edged borders with winding path leading to ornamental raised pond, trellised archway and pergola providing private alfresco dining area, overlooking an enclosed lawned area with flowering shrub borders and central rose shrub bed, potting shed and greenhouse, further raised block paved terrace / seating area enclosed by close board fence, mature hedgerow and ornamental trees, external lighting, compost and bin storage area. 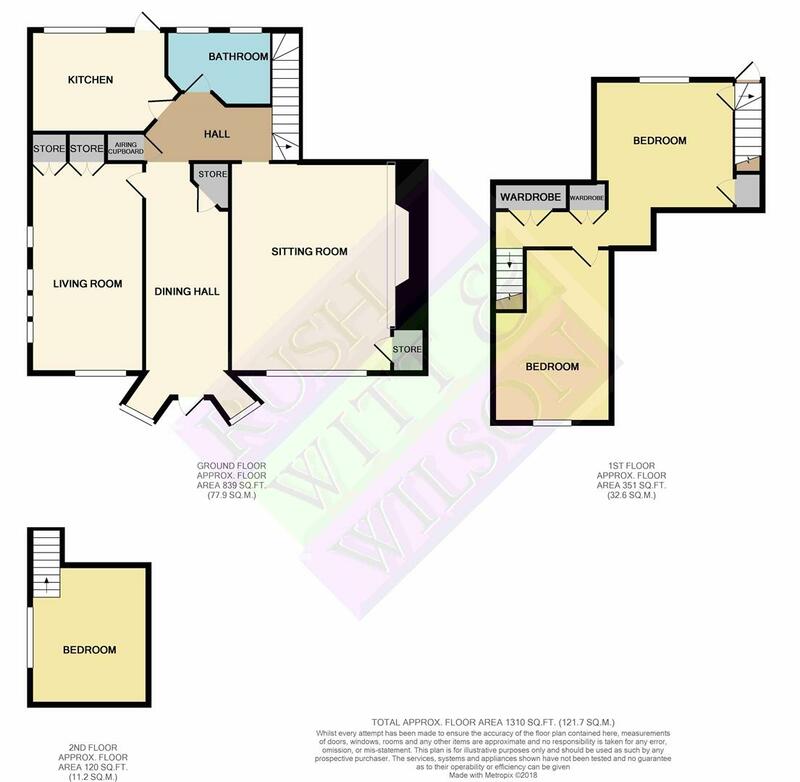 Double garage en-bloc with neighbouring property via double doors. 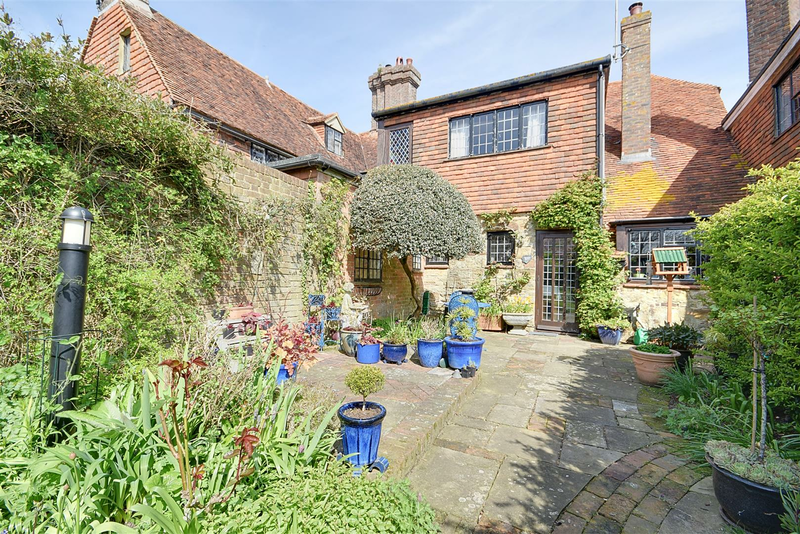 Shared private drainage system and Oil fired central heating.